I keep finding trees that lost the fight…..
Dead trees can make interesting subjects for sure. Check my post on hope, a lesson learned from a “dead” tree. Nice photo. Thanks Christina – I will check out your post. Looks like they were in a stand off….and they both lost. Great photo. 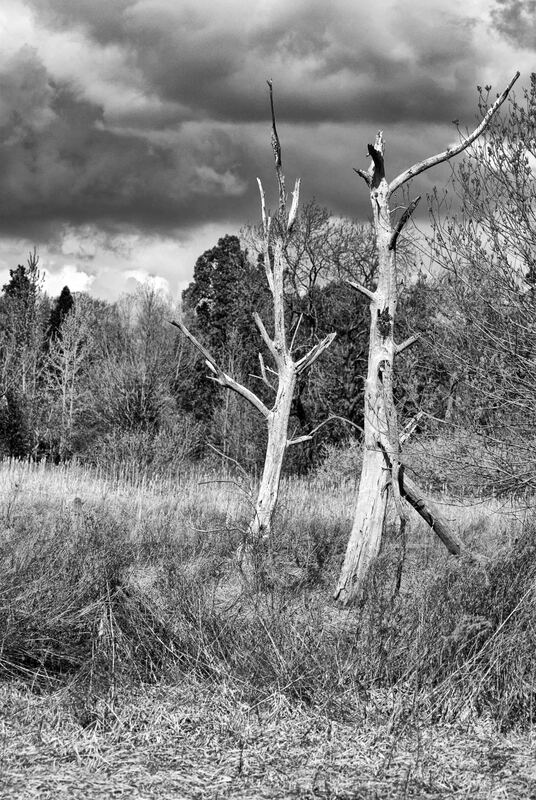 Really kind of a dramatic and perhaps ominous photo, with the storm clouds, dead trees, and perfect use of B&W. Very ‘Kurosawa’…the battle, the drama heightened through the use of natural elements, the use of black and white. I like this!